I do not have experience photographing people. So far I have been focusing on nature photography. I admit I am shy and the mere thought of walking up to some complete stranger in the hope of taking their photograph turns my stomach into a knot. I had mentioned this to David duChemin and to my big surprise he told me that he was quite familiar with that feeling. Contrary to me, however, he seems to have completely mastered overcoming it. So there might be hope! What helped on this trip was the openness of the people, especially the children. They wanted to get photographed so badly, that on several occasions it was almost impossible to get enough distance to get a picture. My camera almost got ripped out of my hands a few times in their excitement over viewing their image on the LCD display. They had fun! Sorting through my pictures now I am trying to figure out why I am more drawn to some images over others. I like detail shots (like the “fire” images) and scenes that do not seem posed. The time we had in the villages and schools was very limited, quite often the kids really wanted to get their picture taken a certain way and there was just a big excitement due to our visit. Huge smiles everywhere! 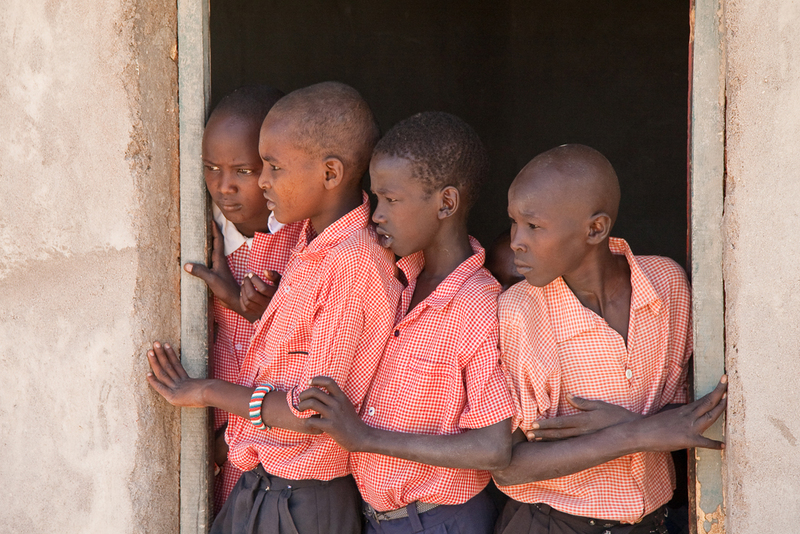 At the Samburu school I was able to walk away from the crowd and managed to catch a candid moment of the children standing in the doorway. (I already posted this image in the “Samburu” part of my blog). 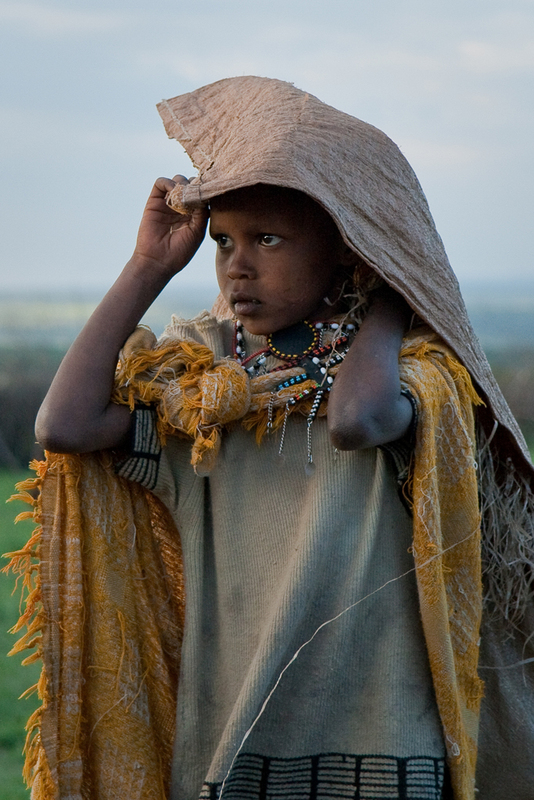 At a Masai village I noticed this girl walking across the grounds. She seemed to be returning from herding goats and was carrying some supplies in the bag over her back. She walked right towards me and obviously saw my camera. I took some pictures of her as she was walking in my direction but the light was bad. Her face was completely in the shade. At the last moment she turned her head, her face ended up having some nice light on it. I think this is one of my favorite people images. It is far from perfect, but real. In retrospect it would have been good to spend an entire morning at a village or a school. Introduce ourselves, have some fun, let the novelty of our presence wear of a little and then be able to observe and photograph everyday life. It was not in the schedule, but I am sure it would have been possible to arrange. Hindsight is 20/20! Valuable lesson learned.